It was launched at a time when big companies around the world were only mildly warming up to the idea of social media marketing. Advertising was largely conventional- television and outdoor hoardings and billboards. Share A Coke was a campaign which was digital at its core- people could share a virtual coke to someone they loved. The campaign found an emotional connection with an entire nation. The campaign has since been part of an integrated marketing communications strategy across more than 80 countries around the world, including China, Israel, Norway, United States, Germany, New Zealand, Turkey, Great Britain and most recently- India. The iconic Piccadilly Circus lit up with a celebratory message: “Time for a Royal Celebration. Share a Coke with Wills. Share a Coke with Kate." As a ‘Royal Warrant Holder’ (one of the specially selected companies that provides goods and services to the royal family), the team pre-empted the enormity of the occasion and tapped into the mood of the nation, joining in the celebrations. China: Instead of using first names on the cans, the team decided to be a bit more playful- they use nicknames, such as ‘cool dude’ and ‘fans’. The creative genius behind the design was Jonathan Mak- the mind behind the iconic Apple logo created in memory of Steve Jobs. Jonathan’s depiction of two hands sharing a Coke also made him the youngest recipient of the Grand Prix at the 2012 Cannes festival of Creativity. Israel: Israel’s Share A Coke campaign was driven by technology. Users downloaded an app in which they could enter their names. Personalised digital billboards synced with the app would then populate with the name using Geofence technology. The technology was such that the distance of the user to the billboard could be detected, and the billboard would populate the name accordingly. Users would get notifications in their app when their names were being displayed. So there you have it. Some unique ways in which Share A Coke was seen around the world. But at its heart, no matter where it went, the campaign remained entrenched in the core value of sharing happiness with loved ones through a bottle of Coke. Who would you like to Share A Coke with? 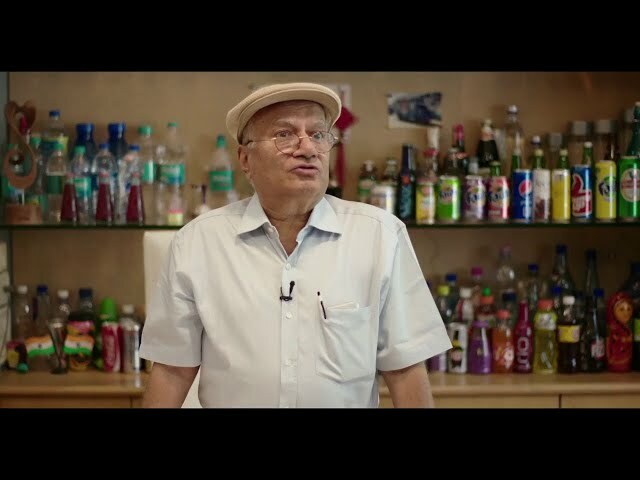 Coca-Cola #ShareAWish Entries that Won the Contest & Our Hearts! 1 What’s a Festival Without an Indulgence?